Loc8 provides Healthcare organisations with a powerful set of tools to manage building infrastructure, equipment, technicians and contractors. 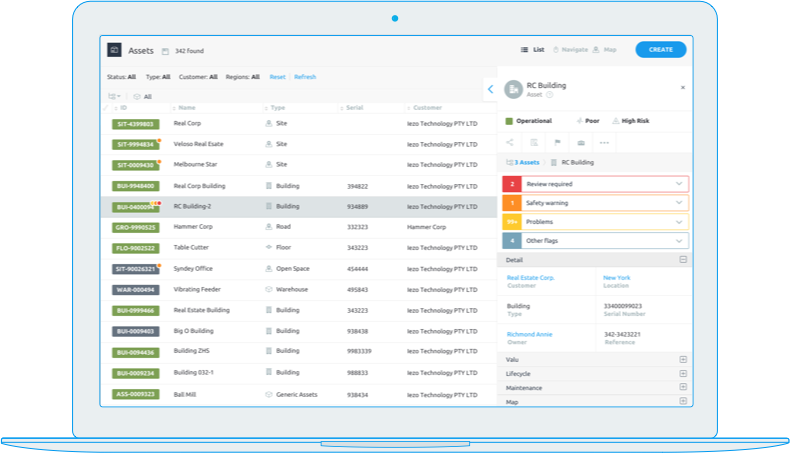 Loc8 also enables better operational control, with features such as intelligent asset lifecycle management, budgeting and reporting capabilities. Loc8 provides greater visibility through its Service Supply Chain; a concept which was designed to allow asset owners, service providers and subcontractors to view and share data in real time. As an asset owner in the Healthcare sector, you have a complete overview of the progress and performance of your contractors. 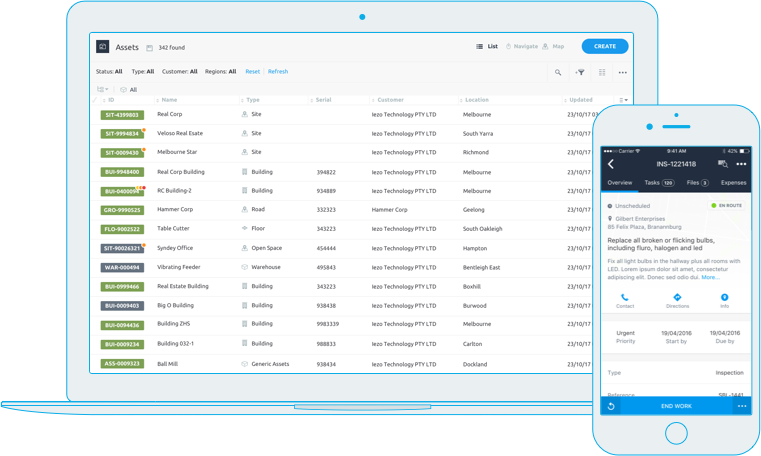 As a contractor to the industry, you can share data with your customer and view the work progression of your sub-contactors. Once implemented, the Loc8 Service Supply Chain allows all its users to save time, improve efficiency and deliver better service to the end customer. Easily create reactive and planned appointments that suit your customer’s availability and send the job details directly to your technician or subcontractor via the Loc8 Mobile app. In the case of planned maintenance activities, this will happen automatically. Combine jobs in the “projects” workspace to have visibility and control over a group of techs working on the same site and use region and trade-based allocation options to make the process even easier. The system will provide real-time updates to the job as it progresses through its workflow. 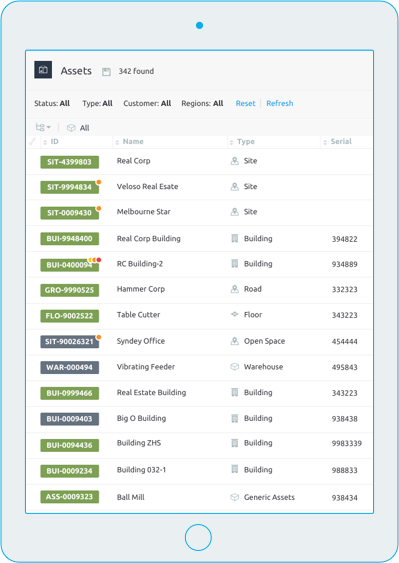 Loc8 also makes it easy to reassign or update jobs in-field as supervisors have the ability to reallocate as necessary should any data be wrong, or a technician unavailable. The Loc8 Certification module provides the ability for staff and contractors to upload documents that relate to certifications, insurance, training and induction documents. System alerts and job allocation restrictions can be enabled in order to notify operators and/or the concerned department if any of the involved parties are not certified, insured or inducted as required. Can I integrate Loc8 with other systems? Yes, Loc8 offers both public and custom API based integrations. Yes, Loc8 Mobile provides offline functionality and any data captured in offline mode will synchronise when a connection is re-established. Is there a limit to the amount of data I can hold in my system? No, Loc8 supports unlimited data storage for all file types. Are there any additional costs when sending jobs or work-orders to third party providers? No, however, if you want real-time updates of job progress then your third-party providers will need to run Loc8 as well.